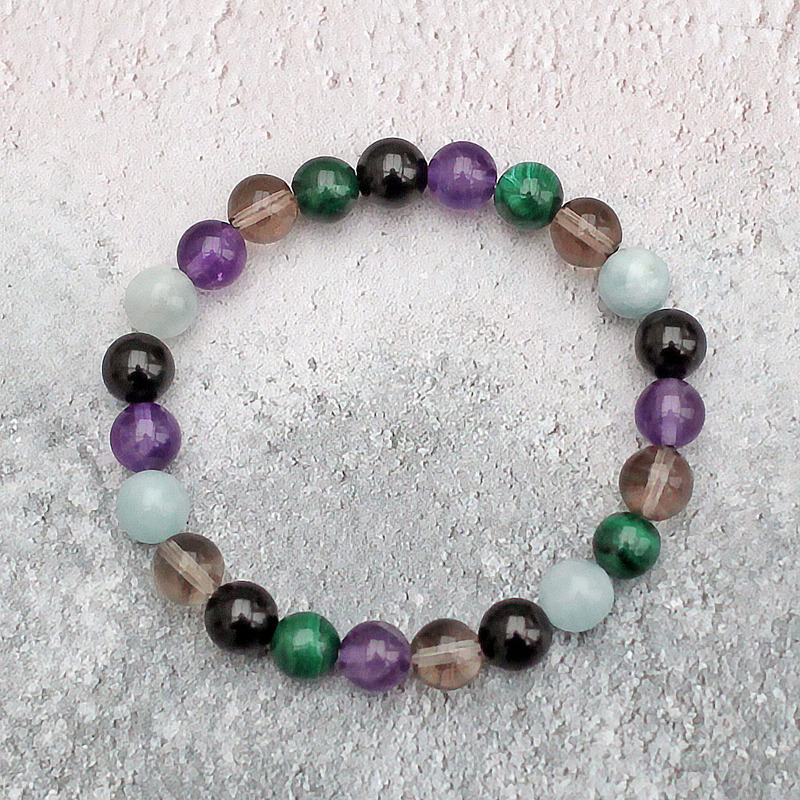 Safe travels bracelet is made with Amethyst, Aquamarine, Black Tourmaline, Blue Lace Agate, Malachite and Smokey Quartz. 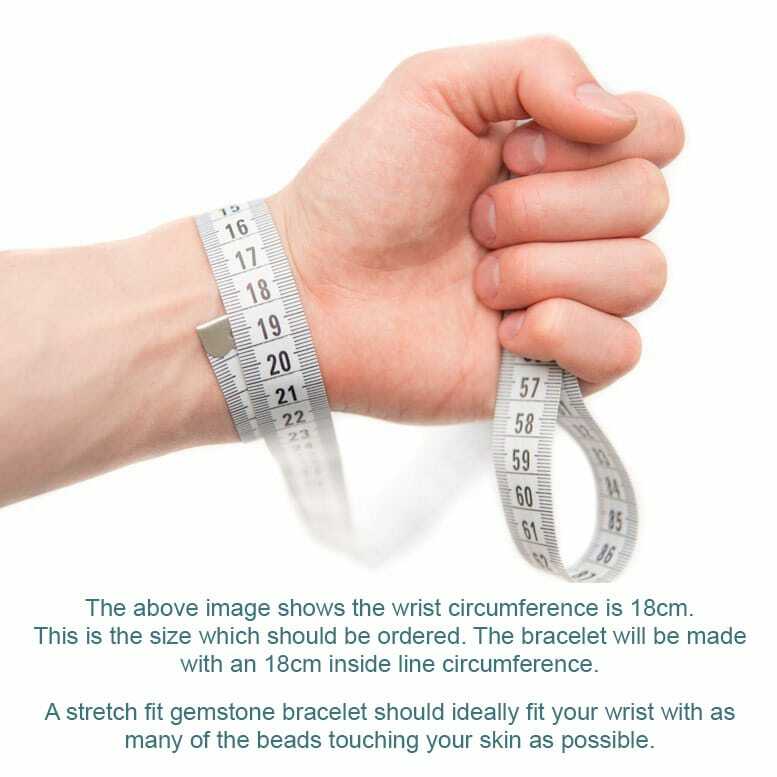 Collectively, these stones will bring the wearer safety and protection whilst travelling, on holiday, backpacking etc. Your bracelet will be sent inside a black velvet drawstring pouch. 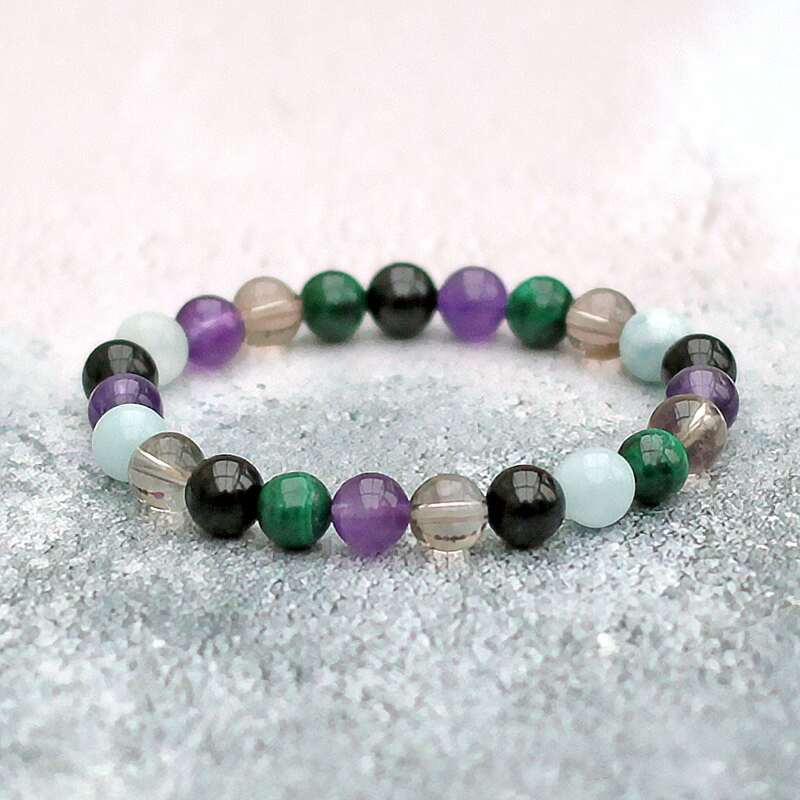 Amethyst – One of the most traditional and ancient protection stones in use today. It is said to repel negative energy, and offer protection from psychic and unseen attack. Amethyst is reported to be especially protective of travelers, offering them protection from thieves. It also enhances personal flexibility and a spirit of cooperation, which can be helpful when traveling. Aquamarine – Both legend and modern spiritual interpretation agree that Aquamarine is the best overall stone for travel on water or over water. 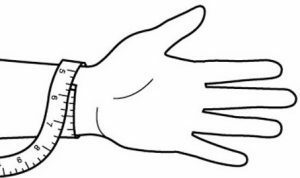 It is even supposed to help with sea sickness, and assists in calming tensions and stresses caused by travel. 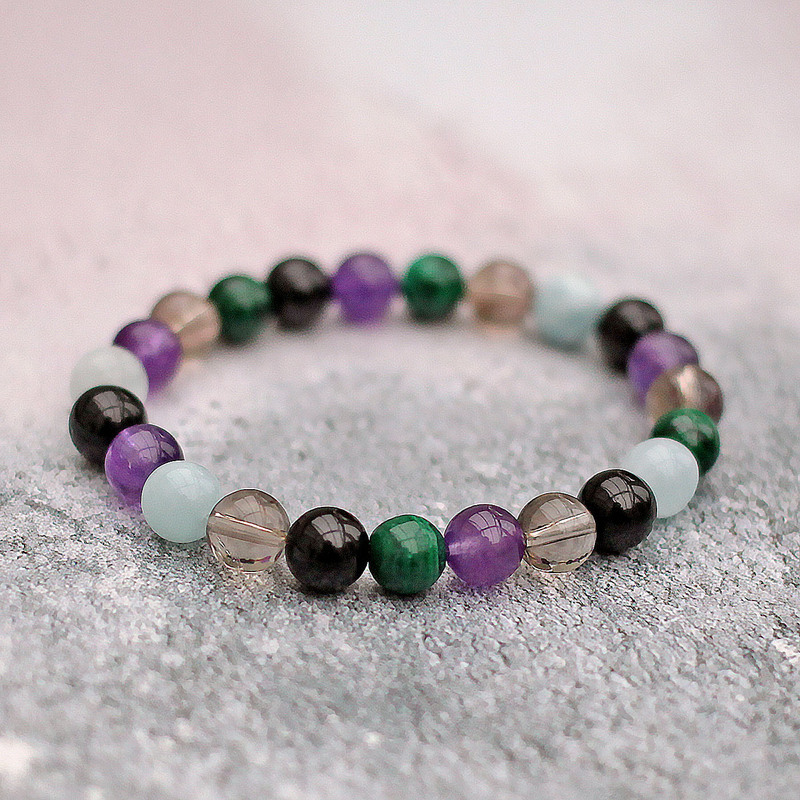 Black Tourmaline – All around protection stone, Black Tourmaline is especially helpful in protecting its wearer from all the stray and crazy energy other travelers bring to the scene. Blue Lace Agate – Blue Lace Agate is a more subtle, supportive stone. 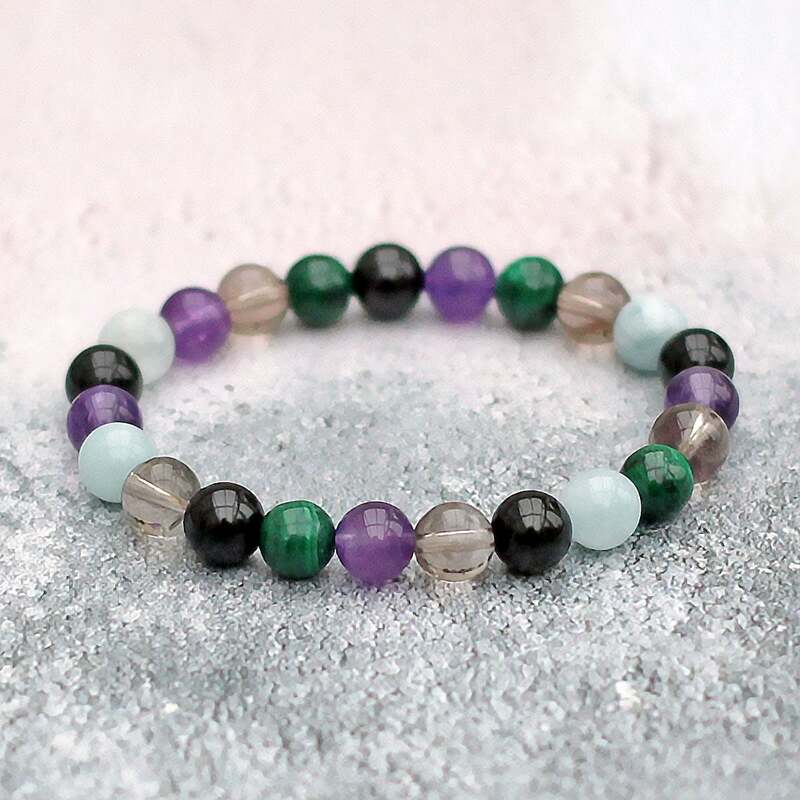 It has a harmonising energy, balancing the emotions and natural forces, and encourages self-confidence – all important components in successful and safe travel. Malachite – Especially protective for those travelling by airplane or upon crowded highways and freeways. Malachite protects from all kinds of accidents. Legend has it that Malachite will crumble when danger is near, and as such is considered a great warning stone. 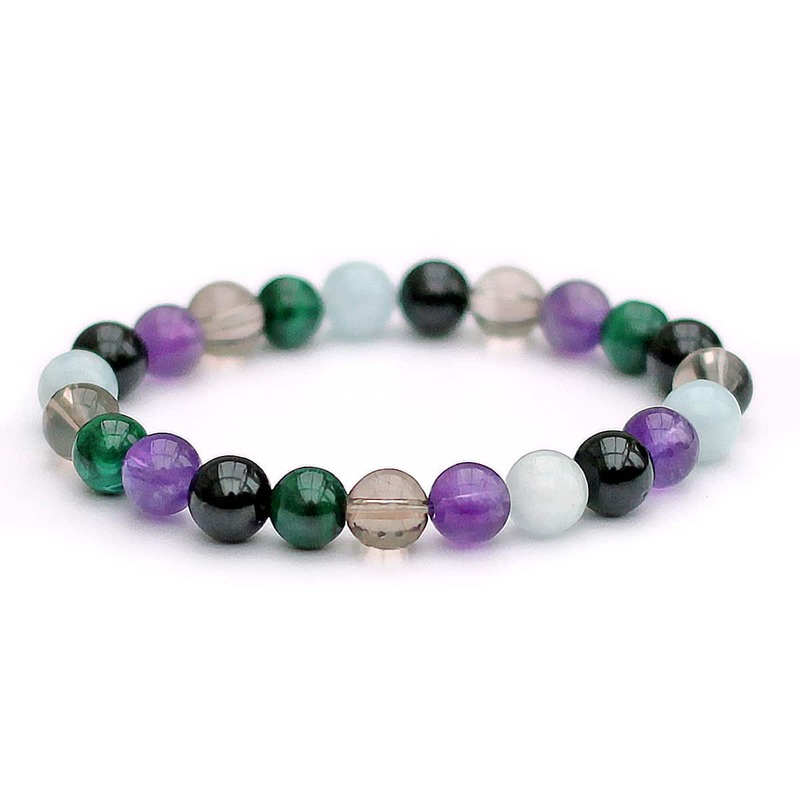 Malachite is said to assist in overcoming fears associated with flying, and can help lessen the impact of vertigo. Smokey Quartz – Smoky Quartz is a great general protection stone during travel. It helps dissipate negativity and tensions that arise from travel, and protects from the chaotic and crazy energies of other travelers. This stone positively influences cooperation and alertness, which are always a boon when navigating busy airports and stations. Thank you for a very speedy & straightforward transaction with excellent communication. Very pleased with my purchase and would certainly recommend. Delighted with the bracelet which is for a friend who is going travelling. Very prompt delivery and beautifully packaged.